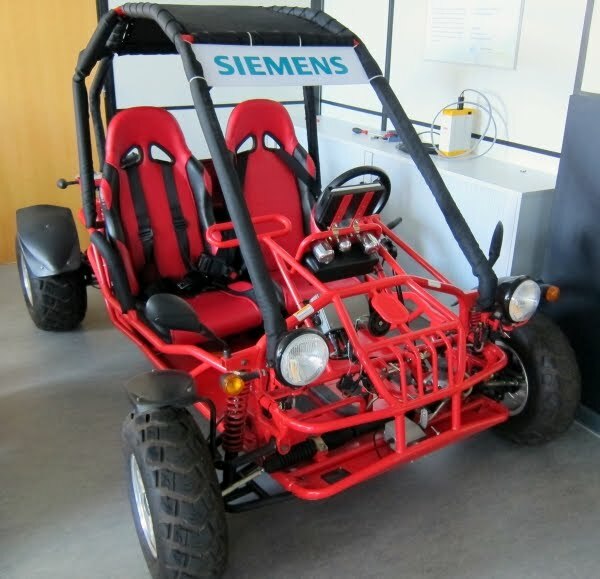 Implementation of a battery management system with battery management controllers in an electrical car with small power (up to 10kW) and development, realization and implementation of an energy management system. 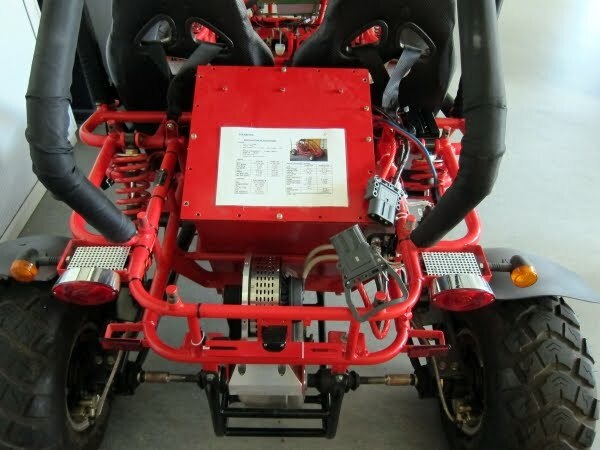 We have two buggies and one of them was already equipped with an DC motor. 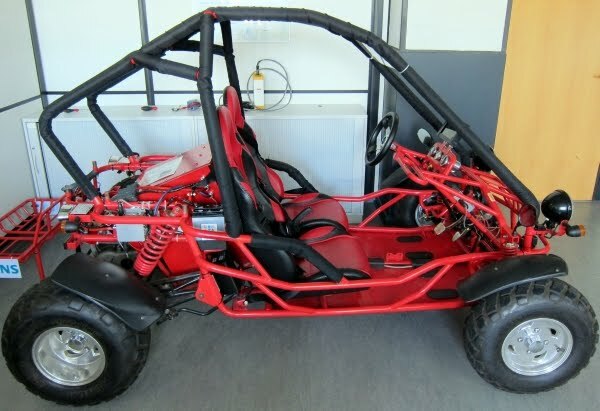 The second buggy will be converted as well. A college of mine will do this as a part of his thesis. This is the quick and dirty concept of the car. It was drawn about one year ago and is not up to date. I have to manage 15 batteries in total. Five batteries are combined to a battery pack, that's three packs. 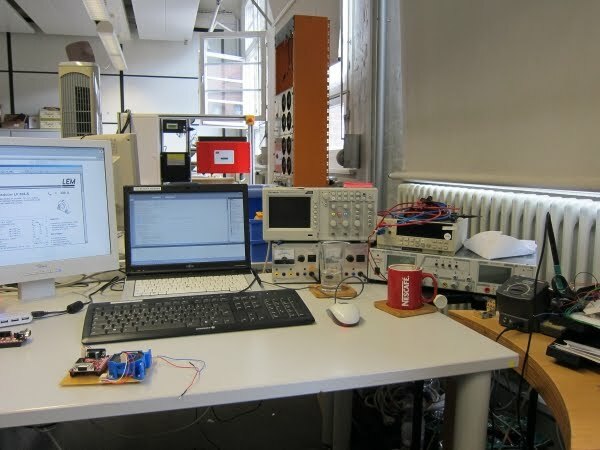 Each pack will be monitored and balanced by one battery management controller (BMC). 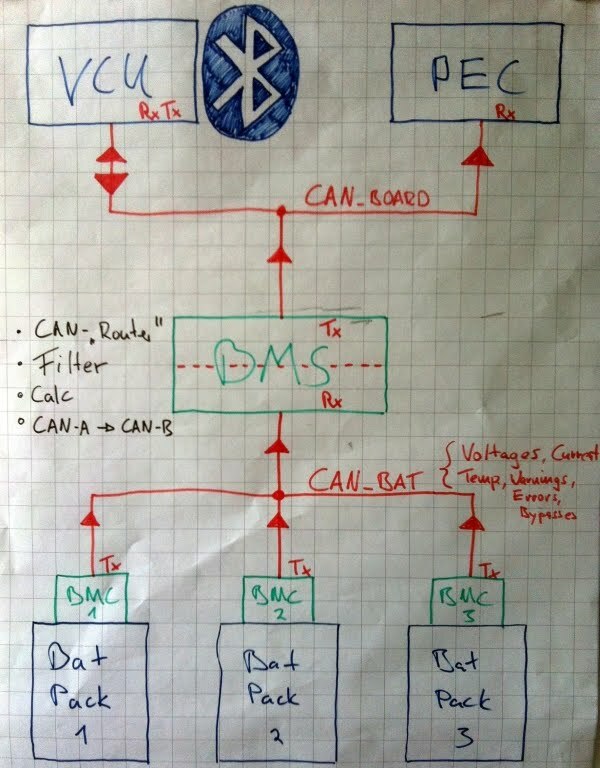 The BMCs are connected via a separated CAN bus with a control unit, the battery management system (BMS). 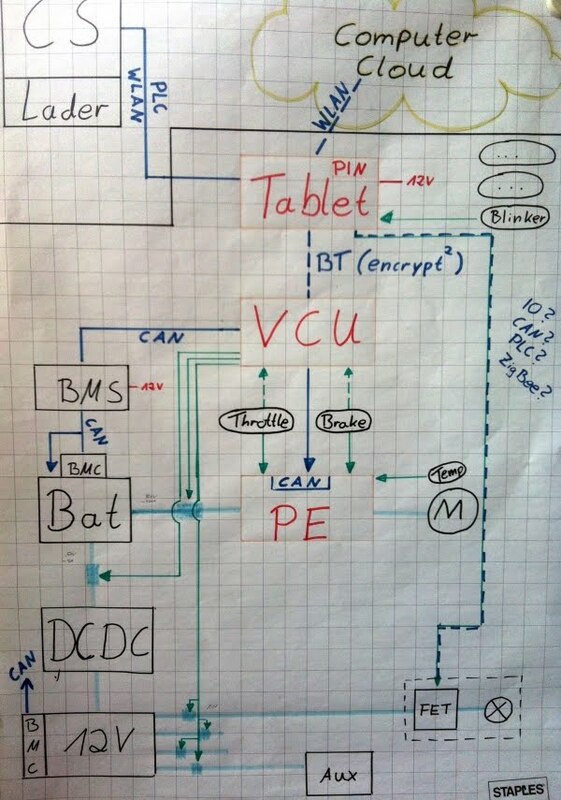 This is my first function block diagram I've drawn.